For a DVD-player in Windows 10 will have to lay out…. 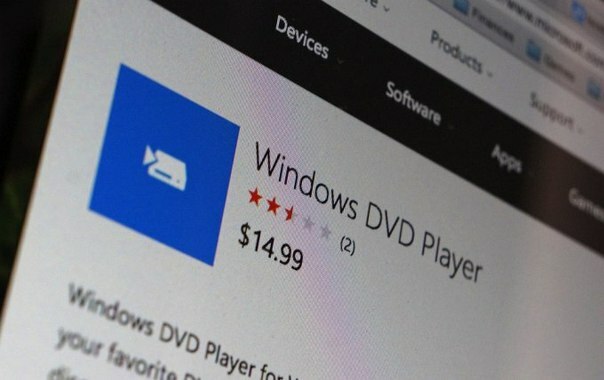 Corporation Microsoft, possibly, has thought up a way to return money for the piracy versions Windows which has become after updating “license”. It is a question of release of an official DVD-player for Windows 10 for which ask $15. The Same sum will have to lay out and to users who have updated operational system fair by. «The clients who are carrying out updating on Windows 10 from versions Windows 7 „Maximal”, “Professional”, “House expanded“ or Windows 8.1 with Media Center, will receive this appendix free-of-charge for the limited period of time within the limits of next automatic updating Windows», — is specified in the description to the program. However, the decision arises obvious: it is possible to load any free media player which loses not only DVD, but also video files of many other things of the formats which are not supported by new OS. Offers opinion, that decision Microsoft is caused by an indispensability to pay a royalty and other deductions to legal owners of a content and technologies. By the way, the patience “Kerchief” costs now $10 in a year. Otherwise to the user will have to be reconciled with annoying advertising.